With new details such as how Rush got bum-rushed, The Coast tells the most complete story to date. 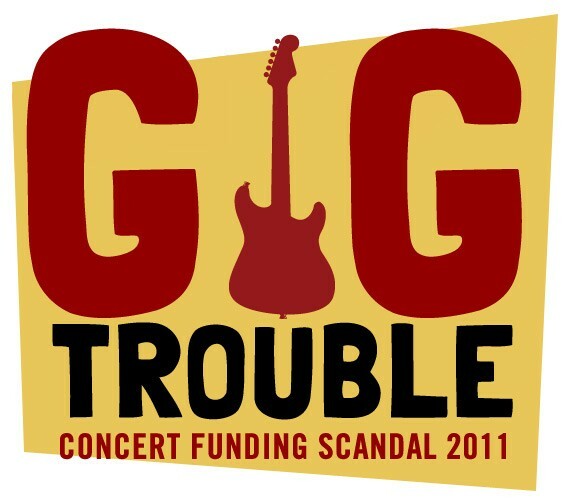 Last spring, Halifax's now-infamous "concert scandal" broke when city staffer Cathie O'Toole revealed that mayor Peter Kelly and the city's deputy CAO, Wayne Anstey, had improperly extended millions of dollars in loans to concert promoter Harold MacKay's firm, Power Promotional Events, and that the last two of those loans, totalling $400,000, were not repaid. Munroe based his report on hundreds of documents he obtained from City Hall, but he did not make those documents public. The Coast, however, filed a freedom of information request for the documents Munroe reviewed, and received those documents last week. Many concert-related documents appear to be missing, and others are highly redacted, but the file obtained by The Coast paints a detailed picture of the behind-the-scenes workings of City Hall as it attempted to turn the Halifax Common into a concert destination. We now know that the city was pursuing lots of big named bands including The Eagles, U2, The Dave Matthews Band and Bruce Springsteen. We can also report that city officials turned down an offer from a promoter who wanted to put Rush on the Common with no financial assistance from the city, because officials instead wanted to go with a Kid Rock concert produced by MacKay, who could not manage to pay Kid Rock's upfront fee without hundreds of thousands of dollars in loans from the government. In the end, however, those loans weren't enough, and Kid Rock cancelled his Halifax show because his upfront fee had not been paid, then went and urged the other musicians coming to Halifax to demand more upfront money from MacKay. The documents also suggest that city officials have misrepresented the true costs of hosting concerts; the real figure appears to be triple that told to the public. Officials also purposely kept poor concert attendance numbers from being known in hopes of hoodwinking promoters to keep producing shows on the Common. The documents also show that Trade Centre Limited president Scott Ferguson had previously been reprimanded for a ticket advance scheme that he later urged the city to adopt. By outside appearances, the September 23, 2006 Rolling Stones concert on the Halifax Common was a huge success. We don’t actually know that to be the case—trustworthy attendance figures for the show have never been released, and city and provincial officials have not revealed how much financial support they dumped into the venture-—but outside appearances matter, and city officials wanted to build on that perceived success by bringing more concerts to the Common. Almost a year later, on August 13, 2007, the Daily News revealed that mayor Peter Kelly had prepared a “marketing card” to be sent to concert promoters around the world, encouraging them to look at putting on shows on the Halifax Common, “with little or no municipal costs to the promoter"; that is, that the city would cover the bulk of policing, fire, inspection and street closure costs that are typically billed to a promoter. The card claimed that the Rolling Stones “drew near 50,000 people.” That number is interesting because officials would later acknowledge that they were misrepresenting concert attendance figures to promoters, in hope of luring more shows to the Common. O’Brien seemed startled by the request, and forwarded it to the city’s deputy CAO, Wayne Anstey, who was overseeing concert matters. “I’m not aware of any funds in my budget for dealing with concerts,” O’Brien complained. Anstey replied that “As to the publicity, I think we [the city] took this on as our responsibility for Rolling Stones, but the figure seems awfully high...What is your impression of the amount?” As to the fence, Anstey went on to say he was asking Mike Gillet, of Gillet Entertainment, which had put on the Stones show and was planning the Celine Dion show, for clarification about the fencing. The episode shows that the city was dealing with concerts on the fly. There was no established procedure for who would cover what costs, or what those costs were. But there was the marketing card, promising promoters a break on their expenses. In the fall of 2007 there was a flurry of internal emails related to a potential Eagles concert. Councillor Dawn Sloane seems to have been the initial contact person for the city. On October 16, 2007, Peter Kelly confirmed that “Creative Entertainment Group have the exclusive right to negotiate on behalf of the Halifax Regional Municipality (City of Halifax) for the Eagles, for one concert on the Halifax Commons in 2008.” That is, CEG would be working as Harold MacKay's liaison to the Eagles. Later that day, Anstey mentions that Peter Kelly is “setting up a meeting with the Minister of Tourism [Len Goucher] to tie down the Provincial Funding on the Country Concert and hopefully an understanding on any other possible concerts.” At this point the three 2008 concerts being discussed are the Eagles, Metallica and Keith Urban. Even though council was budgeting just $100,000 for concert costs, on November 21, 2007, Anstey emailed provincial civil servant Kelliann Dean to formalize a proposal evidently discussed earlier by Peter Kelly and Goucher in person. Anstey asked for the province to underwrite a $500,000 “loan/grant” from the city to PPE to put on an Eagles concert in June of 2008. The plan was for $150,000 of the amount to be a straight-out grant to PPE, with the remaining $350,000 to be repaid, $25 for each ticket sold over 42,500. This assumes a concert attendance of at least 56,500. With fewer than 50,000 tickets sold to the Rolling Stones, city officials should have known that it was unlikely that 56,500 tickets would be sold for the Eagles. The $500,000 loan formula mapped out for the show arranged that $150,000 would be paid back to the city, so would be, were 56,500 tickets sold, in effect a grant to the city. But since it was unlikely that ticket sales level would be reached, the city was setting itself to lose that money, which was in addition to the $100,000 council had committed as support for Common concerts. As we'll see, even the $100,000 wasn't a reliable figure; the true costs of city services for Common concerts was actually $300,000—and by pretending the high attendance figures could be reached, the city was setting itself to lose all of it. The Keith Urban “Country Rocks” show was announced in December, with city officials purposefully absent from the announcement, lest press questions veer into politically sensitive territory. But if preservation of the signature historic feature of Halifax wasn’t an obstacle to putting on concerts in Halifax, something else was: Moncton, which would end up getting the Eagles. A highly redacted document shows that in late January, Anstey forwarded an email from a CEG negotiator that said the Eagles management wanted more upfront money. “I got a call that night saying [redacted] was apparently not in the picture and it was between [redacted] and us however [redacted] offer was [redacted] and ours was [redacted],” reads the email. It will soon become clear what city was redacted. On February 7, 2008, Anstey emailed Kelliann Dean, the provincial civil servant in the department of Tourism, with news that it “seems pretty certain” the Eagles will be going to Moncton instead of Halifax. But, continues Anstey, “CEG, on behalf of Power Promotions is now speaking to the agent for Paul McCartney...” Anstey wanted to know if the province would offer the same deal extended to the Eagles to McCartney. “The hope is that if we are successful and are able to make an announcement before Moncton, it will kill the Eagles concert,” wrote Anstey. The Eagles show in Moncton was produced by DKD, a Montreal firm. Although the name of the receiver of Anstey’s email is redacted, one could infer that it was Harold MacKay, and that Anstey was suggesting that Trade Centre Limited was working with DKD to try to get an Eagles show, while the city was working with MacKay's PPE to get the very same Eagles show. If so, this has two implications. First, it demonstrates that the city was still acting independently from Events Halifax, even though city council’s concert promotion strategy directly called for all promotional activities to take place through EH. Second, the competition between DKD and PPE served to drive the cost of the show up, but neither side worried much about that because the assumption was that either the province or the city would underwrite the increased costs. Ultimately, the costs got too rich even for Nova Scotia, and New Brunswick was able to make a better offer. New Brunswick subsidies for concerts are not public record. The music industry pros in LA had played the Maritimes for chumps. By getting Halifax to essentially bid against itself in a price war, the Eagles’ management company was able to use the inflated Halifax figures to get a still-higher price out of Moncton. Up to the time of this writing, Halifax council and the public have been told that the city’s cost for concerts was $150,000 for the Stones’ show, and then $100,000 annually after that. In a narrow sense that’s true: $100,000 was the amount dedicated to underwriting municipal expenses through hotel tax receipts. But the documents show that city officials were preparing to spend three times that much for concerts. Anstey was repeating the deal that was arranged the previous November, but said explicitly that the $150,000 repaid by the promoter to the city amounted to “half of the municipal expenses” for that show, the municipal expenses therefore totalling $300,000. City officials appear to have been misleading the public as to city expenses for the concerts. The public perception was that the city was prepared to spend $100,000 per show, and that was an “in kind” grant to the promoter; in reality, the city was preparing to spend $300,000 per show, with $150,000 of that to be backed by the province. An additional $100,000 was to come from the hotel tax, but the remaining $50,000 would presumably simply be hidden in city departments’ budgets as unspecified operating expenses. This misdirection would come to have large implications, as later, after the NDP formed a new government in 2009, the province would refuse to offer any concert funding. For the 2010 concerts, then, the city was left facing the full $300,000 tab, rather than the $100,000 budgeted for. The documents given to The Coast contain nothing more from 2008, and nothing in 2009 until the approach of the Paul McCartney concert in July. So we still don’t know what happened to the proposed Springsteen concert, or why the McCartney concert was delayed a year. There was only one Common concert in 2008—Keith Urban, which had publicized attendance figures of 30,000. But as The Coast revealed in March of this year, the actual paid attendance was just 11,853. There must have been extensive discussion of the poor attendance in city offices, but for some reason the auditor general did not review it, and so those discussions were not included in the batch of documents given to The Coast last week. HRM agrees to arrange for Ticket Atlantic, the ticket sales agent intended to be engaged by the Promoter, to advance to the Promoter against ticket sales the amount of $300,000, the said sum to be repaid from the initial ticket sales in respect of the concert. The city’s legal department signed off on the agreement because “their reading of the clause was that it allowed the Municipality to make arrangements with Ticket Atlantic which was a service claimed and operated by Trade Centre Limited, the Provincial Crown Agency, to advance provincial funds against ticket sales to the extent of $300,000 and not HRM funds.” This was probably true for the first loan, but the city ended up backing $950,000 in such loans. PPE repaid the money, but that loan was the foot in the door and the stage was set for large improprieties to barge into the room—the city started simply negotiating for MacKay to have access to Ticket Atlantic funds, but that would later turn into the city guaranteeing the ticket advances and then finally to the city putting forward the loans itself, with no security whatsoever. Except for McCartney’s $3.5 million upfront fee, which was recovered in full, governments lost every penny they had put up for the concert. The total taxpayer subsidy for the show was therefore $28 per sold ticket. The provincial subsidies and loans for the McCartney and previous shows were agreed to by premier Rodney MacDonald’s PC government, which was sympathetic to Halifax mayor Peter Kelly’s pleas for assistance. Kelly would go on to be floated as a potential Conservative candidate in the 2011 federal election. But Darrell Dexter’s NDP government, which took office in June of 2009, would end all provincial financial assistance for concerts. As The Coast has previously reported, MacKay would repeatedly ask NDP officials to cover his loss on the McCartney show, which turned out to be $700,000, to no avail. At the time, however, MacKay’s problem was immediate. The KISS show, one weekend after McCartney, was a similar attendance disaster—published reports said 40,000 people went to the show, but in reality just 21,420 tickets were sold. For KISS, the arrangement that started for the Keith Urban show had by now morphed into a city-backed loan program through Ticket Atlantic: the city was now guaranteeing the loans through a city-owed Metro Centre bank account managed by Trade Centre Limited. All told, the city loaned PPE $2.4 million for the show. After the McCartney and KISS shows, basic accounting principles seem to have been thrown out the window. In short, Ferguson was suggesting that MacKay’s loss on the McCartney show could be covered by the city or province advancing money based on future sales of tickets for shows that did not yet exist. A few weeks later, on August 18, 2009, someone—the name is redacted, but it’s clearly Harold MacKay, representing “a Dartmouth firm” that produced the McCartney show—wrote Percy Paris, the new minister of Tourism, asking for financial assistance for future concerts. This is a remarkable bit of reasoning: the concerts were utter failures, but everyone thinks they weren’t, so you should loan me more money to put on more concerts. It appears, however, that city and provincial officials assumed the same reasoning: they knew that people weren’t going to Common concerts in large numbers, but they had to keep that truth from the public in hopes that... people would go to Common concerts in large numbers. The letter proposes that a $350,000 loan from the province be paid back through $10 on each ticket sold for the future shows, with ticket sales starting in January, 2010. The documents attained by The Coast don’t say what the results of this meeting were. Somehow, Power Promotional Events stayed afloat, and in December the company announced the line-up for Country Rockfest 2010 for August 6 and 7, 2010. City, TCL and provincial officials knew that PPE was bleeding money, and yet there still seems to have been a soft spot for the company in governmental circles. On January 29, 2010, Gillet Entertainment Group, a promotion company in competition with MacKay's Power Promotional Events, contacted city staffer Andrew Whittemore about the potential for putting a Rush concert on the Common on July 17 or 24, 2010. On March 11, GEG confirmed the July 17 date, and said the firm was ready to sell tickets. In the meanwhile, however, PPE had announced a Halifax Rocks 2010 concert for July 23 and 24, with Kid Rock leading the line-up on the 23rd and Black Eyed Peas the 24th. Evidently, this show trumped the Rush show, and so on March 12, Anstey wrote GEG saying there was no way Rush could play the Common. "We are not prepared to deliver up the Common site for your show this year," wrote Anstey to GEG. "I hope that this decision does not impair the possibility of future ventures in Halifax." The city apparently rejected a Rush concert on the Common from a promoter (GEG) who didn’t even ask for government funding in favour of a Kid Rock show produced by a promoter (MacKay) who couldn’t put it on without government funding. The Dexter government continued to refuse to fund concerts, even though mayor Peter Kelly appealed directly to premier Dexter himself. And MacKay didn’t have the funds for Kid Rock’s upfront fee. That is, the plan was to use Black Eyed Peas ticket sales to pay Kid Rock’s advance fee. This is madness, because had either act cancelled, there would be no money with which to refund ticket holders. “My problem is I don’t have any more money to cover the advances with,” wrote Anstey on Saturday, March 27, 2010, at 2:13pm. “To make this work, Ticket Atlantic is going to have to take on 300K of risk on the Country show, thereby freeing up 300K of Metro Centre money for this show or alternatively take on 300K of the risk for this show. Overall, HRM will be carrying two-thirds of the risk with virtually no return, whereas Ticket Atlantic will only carry one-third with at least the opportunity to make some money. Evidently, Ferguson had used an advance-on-ticket-sales scheme for the world hockey tournament held at the Metro Centre, and was reprimanded for it. But that didn’t stop him from recommending the exact same scheme to the city. The documents don’t spell out the day-to-day details of the negotiations with Kid Rock, but it appears that MacKay kept Kid Rock on the bill by dribbling advance money to him a little at a time, as he could convince Anstey to lend more money. MacKay continued to ask for, and receive, advances on ticket sales, and requested more meetings with city officials. On Saturday, July 10, at 3pm, MacKay, Anstey and Peter Kelly met at the Old Sunnyside restaurant in Bedford, presumably to discuss more financing. The documents don’t say who else was present, merely that the meeting had been originally scheduled for the mayor’s office. The following Monday, Kelly made one last desperate plea to premier Dexter for more funds. Dexter was forwarded a report that appears to be written by MacKay. The document claims that if the province loaned Power Promotions $400,000 total for the rock and country shows, attendance at the those shows would be 11,000 and 13,000 respectively. The document writer sloppily adds those attendance figures together to get an incorrect total attendance of 23,000, which the writer says will generate $13 million in economic impact—that is, $565 per ticket sold. The premier didn’t even bother with a reply, having his staff deliver the refusal. The rest is almost anti-climatic. Even with the horrible track record of Common concert attendance and a promoter that couldn’t pay artists’ upfront fees and who lost $700,000 hosting one of the most popular musicians on the planet, Anstey and Peter Kelly signed two more loan agreements giving $400,000 in loans based on the security of future ticket sales for the Black Eyed Peas. There was nothing remotely proper about the agreements: they weren’t vetted by the city’s legal or financial departments, and they weren’t approved by city council. The concerts failed miserably; 8,362 tickets were sold to the Black Eyed Peas show, and 10,009 to the country show. The city was repaid just $450 on ticket sales, and held on to two $20,000 deposits for use of the Common. Total loss was $359,550. Tim Bousquet is news editor at The Coast. Email him at timb@thecoast.ca, and follow him on Twitter @Tim_Bousquet.